Eagle Springs Ranch offers an opportunity to experience a Colorado off-grid lifestyle and farm-to-table living. Enjoy views of Mt Pisgah and sweeping mountain topography from this custom home designed with a comfortable open floor plan, main level living and spacious rooms. Friends and family will enjoy the covered porches – perfect for outdoor entertaining, cookouts, or simply watching the sunset on the western horizon. A fire pit area offers evening activities such as roasting marshmallows, sharing tall tales or strumming guitars. A detached workshop/garage includes one bedroom/one bath living quarters and ample space for big-sized projects and/or equipment storage. 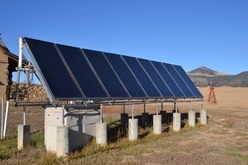 The high-tech solar system provides reliable, on-demand electricity for all structures. 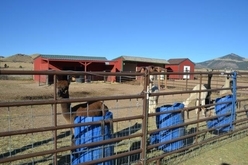 The ranch encompasses 80 acres of high mountain meadows which are livestock ready - grazable acres, fully fenced perimeter, loafing sheds with holding pens & stock tanks. Raised planting beds, greenhouses, chicken coops, raspberry bushes and fruit trees offer a good start to “living off the land”. Typical climate patterns include 300+ days of sunshine with moderate temperatures and mild winters. 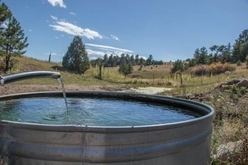 Add an artesian spring w/ water rights, intriguing rock outcroppings, long distance views of rolling hills, and deeded access into thousands of acres of BLM lands for hunting, riding or other outdoor recreation and you have a package that is hard to beat! Experience the quiet backcountry and the satisfaction and pride of hunting/growing your own food. Located only 45 miles southwest of Colorado Springs with easy access off a paved Colorado Scenic Byway called the “Gold Belt Tour”. This is the perfect place for those yearning to sample a “farm to table” lifestyle away from the city lights. Find nearby trout fishing & rafting in the Arkansas River; Cripple Creek, a fully restored historical 1890’s gold rush town with small stakes gambling, entertainment & restaurants and snow skiing in Summit County.